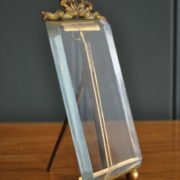 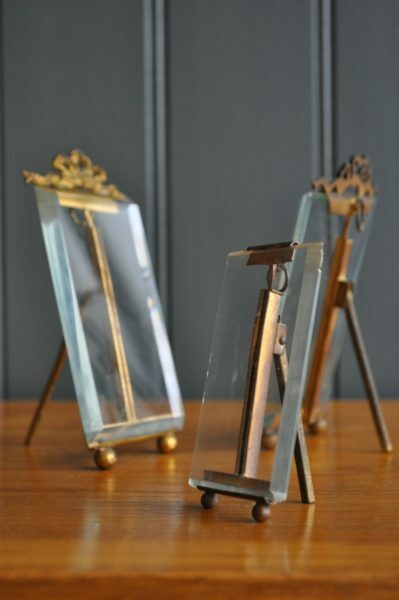 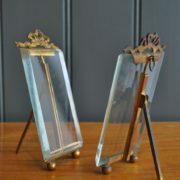 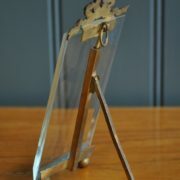 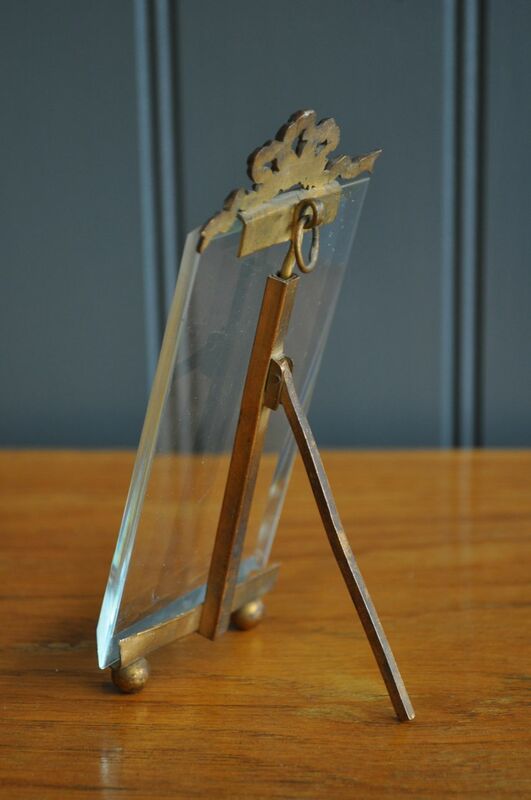 French brass 'bow-top' photo frames with original bevelled glass. 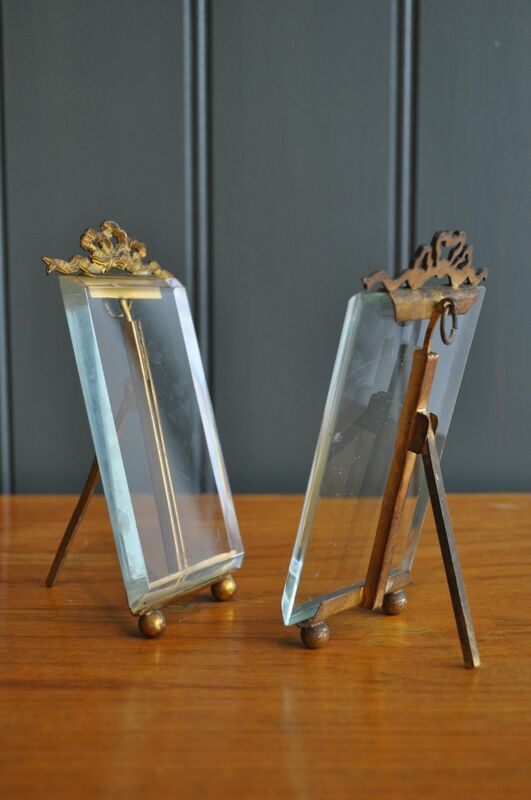 Two very similar but not quite matching, and a third very sweet smaller frame with a simpler design but similar ball-feet. 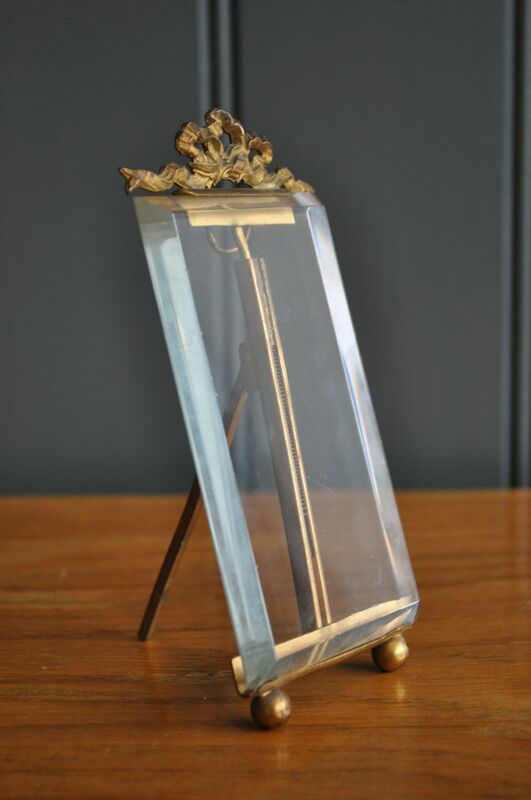 Price is per frame.